Our goal is to provide healthy, safe, and fun swimming environments for the enjoyment of our clients, their families, and their friends. We strive to exceed your expectations through our work ethic, relationships, and professionalism. Throughout the year your pool needs consistent attention for an enjoyable and healthy pool with your family. We specialize in swimming pool and spa services, including cleaning, maintenance and repairs. Our weekly service includes checking the chemical balance, vacuum when neccessary, and assessing equipment & recommending necessary repairs. Gulf to Bay Pool Service is here to provide you friendly, professional and reliable service. Our team is experienced in all facets of swimming pool cleaning and maintenance services. Beat the heat of summer in clear water, in your clean pool. Marolf Pool Service has over 10 years of experience cleaning and maintaining swimming pools for residents in Florida's Pasco, Pinellas and Hernando counties. Family owned and operated, we emphasize quality over quantity and are proud to be on a first-name basis with all our customers. We offer weekly services with monthly billing, and we charge competitive rates with no hidden fees. You will always have the same technician, so you'll know who to contact, should you have any questions or concerns. 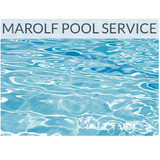 At Marolf Pool Service, we keep your pool clean, the water clear, and you cool! Maybe you want to remodel a swimming pool, repair or update the swimming pool with a new pool deck, Pinecrest Pools and Spas, Inc. can help! The Pincrest Building Corporation has already established itself with an outstanding reputation for building homes of unsurpassed quality since 1988. As one of the premier home builders in Citrus County Florida, we have applied the same work ethic and attitude to our Swimming Pool Construction company. Serving the Citrus County, Florida area, we specialize in custom in-ground shotcrete pools and spas using the latest technologies and energy efficient equipment.We can also provide water and fire features along with maintenance friendly designs to enhance your “Backyard Resort” experience. 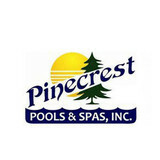 Pinecrest Pools & Spas builds each pool and spa as if it were our own with uncompromising quality and care, including product selections we would want for ourselves and our family’s enjoyment. 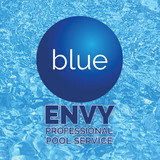 We specialize in your pool services with great customer satisfaction! Hire us for all your pool needs! 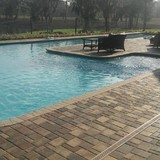 Ocala Pool Boys offer a wide variety of services to make your pool more enjoyable. Sparkling Waters Pool & Spa Services, Inc.
Sparkling Waters Pool & Spa Services, Inc. is a family owned and operated pool service and equipment maintenance company located in The Villages, Florida. Sparkling Waters is licensed and insured to operate in Marion, Sumter, Lake and Orange counties Florida. Although our primary business is residential pools and spas, we have a certified pool operator (CPO) on staff and take care of several commercial accounts. Our business offers quality service at reasonable prices with a variety of plans for swimming pool and spa maintenance. We offer equipment service and replacement of pumps, motors, filter units, automatic cleaners, timers and more. Rain Dance was formed as a vision to become the best Pool, Spa and Sprinkler retailer and service company in Pasco County. We provide our customers with expert advice and knowledgeable service stemming from nearly 40 years of experience. We welcome you to visit us and see the Rain Dance difference. Employ family-owned and operated Happy Pool Service & Repair to ensure that your pool is clean and healthy for your family. You'll have access to weekly pool services along with maintenance and repair work. You can trust our reliable, honest, and friendly staff to assist you with your pool's unique needs. We use only the latest in pool cleaning products and treatment services in order to keep your pool in the best condition possible. Take advantage of our competitive rates today! With more than 30 years of experience, Pilot Pool Service, Inc. has been in business for 18 years. Our family-owned-and-operated business will provide prompt and reliable swimming pool repairs and pool cleaning services. We'll ensure that all aspects of your swimming pool are taken care of with our thorough and affordable pool maintenance services. Additionally, we are licensed to do gas heater repairs. Call us for a FREE estimate on our pool cleaning services. For over 15 years, Luis Jimenez, owner of Pinnacle Pool & Spa LLC has established his company as the “go to” source to repair and install pool and spa equipment in the Tampa, Lutz and Wesley Chapel areas. Pinnacle prides itself on being a responsible company that never fails its customers, always making sure there is 100% satisfaction. Our staff is constantly trained and certified with the top manufacturers and equipment distributors, it is our priority. Most importantly, our experience and reputation is our top commitment. That is why we thank all our loyal customers that have supported our company since the beginning. Our promise is that we will keep working hard so you can enjoy your pools and spas year round! What should I look for when hiring a pool cleaning service in Citrus Hills, FL? Pools and hot tubs are big investments, so you’ll want to make sure to protect them by hiring an expert who cares about them just as much as you do. Check that the Citrus Hills swimming pool maintenance service you are interested in actually specializes in the type of pool you have — chlorine and salt water pools have very different needs, and in-ground versus above-ground pools will require different upkeep and repair methods. Also, know who will be doing the repair or service; if it’s one of the larger swimming pool services in Citrus Hills, FL, request that you get same person every time, otherwise you could get inconsistency in treatments. Good Citrus Hills pool professionals will keep a consistent schedule and log everything they do so that it can be referenced in the event that you switch companies or something does go wrong. Like any other professional, look for local pool cleaning companies near you with plenty of good reviews and relevant experience. Find a Citrus Hills, FL swimming pool repair and maintenance specialist on Houzz. Narrow your search in the Professionals section of the website to spa and pool maintenance companies in Citrus Hills, FL and read reviews and ratings for pros in your area.